After graduating from Auburn, I returned home to my family?s dairy farm to work. During that time, I met my husband Brycen, who is a builder in Auburn/Opelika. He encouraged me to get my real estate license, not realizing what he thought would be my hobby would turn into my favorite career! I currently serve the area as The Dave Ramsey Real Estate ELP (endorsed local provider) and am a Board Member for the Lee County Association of Realtors. Education is important to me, and I have earned the Associate Broker, Graduate Realtor Institute, and Accredited Buyer Representative designations. Currently I am working on my Certified Residential Specialist, one of the most elite designations in the industry. Since I have been in the business, I have consistently been one of the top agents in my company. We have a son & daughter. We enjoy living in Auburn/Opelika so much! Brycen enjoys woodworking, cycling, mountain biking, and kayaking. I enjoying reading, running, and gardening. We both love to cook, as well as go out to eat to fine dining! Listening to live music is also a favorite hobby. Lee County provides all of this and more. Ryan Edwards, another agent in the Berkshire Hathaway HomeServices firm, and I decided to become a real estate team in 2009 to combine our talents to better serve our clients and grow our business. We promise to serve our clients and treat them how WE would want to be treated! “Our agent, Annie Rankin Williams represented our needs with energy and enthusiasm. She had to deal with ever changing needs, problems and requests and did so with a great attitude. After a grueling six months of negotiations on several houses we walked away with just the right house in a perfect location. Thank you to Annie for all of her professional assistance. “We have used several agents before and thought we knew what to expect, but you really did go out of your way to separate yourself from the other agents we have worked with in the past. We appreciate it and hope we can keep in contact. It truly was great working with you. Thank you! I have had the experience and pleasure of both buying and selling a house in Auburn using team, Annie Williams—Ryan Edwards and their wonderful support staff composed of Moriah and Jordan. I don’t use the word “team” lightly. Having experienced working with so called “teams” before, I often found that one member of the “team” had no idea what another member of the “team” was doing. The real estate team of Williams—Edwards worked liked a well-maintained piece of machinery. Each of the 4 members was so helpful to me in both the real estate buying and selling process. When I purchased the home, Annie supported me in my purchase by not only providing comp information on neighboring homes, but helping me align crafts people to make needed renovations. Not only were her design ideas helpful, but she brought out a designer to give me a second opinion on both modifications to the home but colors as well. I thought that was particularly nice of Annie. Importantly, Ryan and Annie helped me to negotiate a fair price for both the seller and myself (buyer). I couldn’t have asked for more. Some time later, I decided to sell the home I had purchased. Given my previous experience with the Williams—Edwards’ team, there was no doubt in my mind who I was going to use as an agent. From the perspective of a seller, I really experienced additional dimensions of their team approach. Both Ryan and Annie came to the house, examined it thoroughly, suggested additional updates I should consider, and directed me to quality workers who could implement those updates on time and at a fair price. They also counseled regarding some of my ideas, which were likely unnecessary. In the end, they were very helpful in suggesting a fair offering price for the home. Once the home was advertised, Jordan kept me updated regarding Web views of the home, comments from other realtors following realtor showing, and comments from potential buyers about the home. The advertising of the home including Web-based videos and photos was exceptional. As interest in my home developed, Annie kept me updated regarding various offers that were made. Both Ryan and Annie were always available by telephone, text, and email. Like buying a home, selling one is also stressful. Team Williams—Edwards were with me every step of the way. Moriah helped coordinate the staging of the home and the closing process. Ryan and Annie kept in touch with the buyer’s agent regarding questions I had and answering for me, questions the buyer had about the home. Moriah had all dates and paperwork ready for the closing and made the actual sale of the house a very smooth and reasonably stress-free process. I highly recommend working with Annie and Ryan. In my opinion, you are getting the best I have experienced and that includes buying and selling single homes in Knoxville, New Orleans, Berkeley California, and Australia. If I purchase another home in Auburn, I will be returning to team Williams—Edwards with Berkshire-Hathaway. Berkshire Hathaway HomeServices's agents are some of the most knowledgeable in the area. Contact Annie Williams today using the information above. 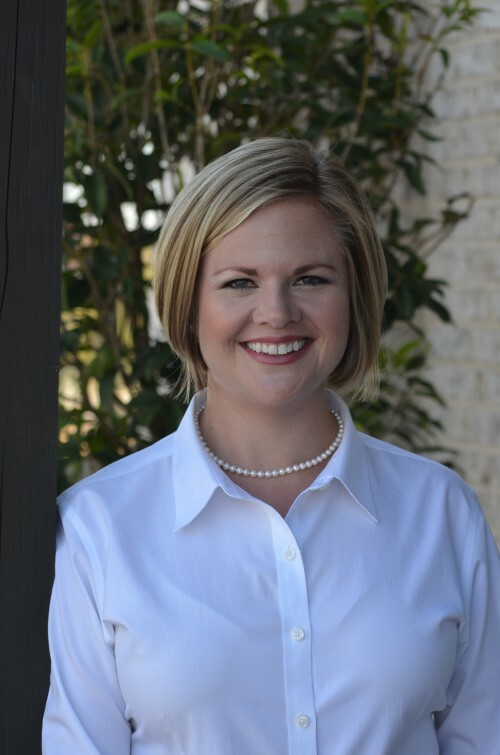 Annie would be happy to serve you and answer your questions about Auburn real estate. GOLF MBRSHP INCLUDED! New paint!! Serene lot overlooks hole 6 on Moores Mill Golf Course. Assumable VA loan at 3.5% if qualification permits. Formal Dining & Living Rooms. Great Room offers soaring ceilings, gas fireplace w/ built-ins, & floor to ceiling windows for incredible golf course view. Kitchen boasts 2 pantries, stainless appliances, under cabinet lighting, & built-in desk. Spacious Breakfast Room surrounded by large windows overlooking the golf course. Main level master offers ensuite bath. Main floor guest suite offers tray ceiling, large closet, & private bath. Bedrooms 3 with private bath. Bedroom 4 has en suite bath. Bed 5/bonus room is perfect media room. Plus an office! Boat garage in addition to regular garage. Large deck with arbor, hot tub, firepit, & separate patio, all w/ stunning golf course views! 3 walk-in attic spaces + floored storage above detached garage. Tall crawl space with great storage! 17+ acre mini-estate, in the HEART OF AUBURN! 5 minutes to Publix, 7 minutes to Auburn Mall & Starbucks, & 10 minutes to Tiger Town & I85. One of Auburn's most unique & desirable neighborhoods, Creekwood is comprised of a limited number of large, very private lots, all thoughtfully developed to preserve their natural beauty. Properties in this neighborhood seldom come on the market, & with its 17 acres, this one is a particularly rare find. It boasts a private pond, & Sougahatchee Creek flows through the rear. There's also a nicely built barn on the property. A truly one-of-a-kind tract, with scenic vistas everywhere you look - you WILL NOT see another opportunity like this anytime soon. Stunning custom home on full acre lot! W/ its multi-level blue flagstone patio, fire ring, & wooded setting, this serene backyard will have you wondering if you're still in Auburn... and you are! Just 2 minutes from Publix, shopping, & dining at Moores Mill! Welcoming facade offers paver patio, covered front porch, & regal double door entry. 2 story foyer flanked by living room/study to left & large formal dining to right. Gourmet kitchen boasts chef-grade appliances - double oven, gas range w/ warming drawer & hood, ice maker, & 2 dishwashers, plus large island & TONS of custom cabinetry/storage. Great room has massive gas log fireplace as focal piece & overlooks beautiful backyard. HUGE main floor master offers luxurious bath: dbl sink vanity w/ 3 dressing tables! Upstairs offers 3 additional BDs (1 suite, 2 share J&J) & family room. Finished walk-out basement includes 5th BD, full bath, & 3 bonus rooms, 2 of which feature gorgeous exposed brick walls & painted pressed tin ceilings. Beautiful, like-new home in desirable Moores Mill S/D! Inviting foyer flanked by formal living (or perfect office/study) on one side & formal dining w/ coffer ceiling on the other. Great room w/ gas fireplace & soaring 2-story ceiling flows into updated kitchen, which boasts tons of custom wood cabinetry, ample (granite) counter space, new tile backsplash, island, SS appliances (inc double oven), pantry, gas range w/ truly vented hood, under cabinet lighting, & breakfast room. Master + beds 2 & 3 on main, all with HW floors, recessed lighting, & crown. Luxurious master en suite offers extended double vanity, jetted tub, private WC, step-in tiled shower w/ frameless glass door, & huge walk-in closet. Beds 2-3 share hall bath. Convenient powder room & large laundry w/ utility sink & tons of storage complete first floor. Upstairs are beds 4-5, each w/ walk-in closet, which share Jack & Jill bath. Bed 5 could also be large bonus room! Back deck overlooks large, private, fenced backyard. Creekside is a uniquely planned, charmingly Craftsman community located just 10 min from campus & beautiful downtown Auburn. GATED & PET FRIENDLY, it offers a plethora of amenities, including multiple Transit pickups, 3-tier resort style pool, outdoor grills, tennis, volleyball, bocce ball, state of the art gym, computer center, game room/billiards, tanning salon, & MOVIE THEATER! COA covers security monitoring, expanded cable package (126 HD channels), high speed internet/wifi, garbage, pest control, exterior insurance, exterior maintenance/lawn care. This unit, the "Magnolia", includes security system & loft seating area, with hardwoods, recessed lighting, & crown molding in the open-concept main living area. Kitchen features granite counters, pantry, SS appliances, & eat-at breakfast bar. Main level master + 2 upstairs BDs each offer ensuite baths & walk-in closets. This is an end unit, so its covered back patio enjoys considerable privacy as well as access to a grassy lawn area. Currently zoned RDD allowing for 5 unrelated residents. Can be mixed use: commercial/residential development opportunity with Retail/Office Space below and Residential above. This is an excellent opportunity to have a commercial/office space to generate income while having residential above, both for living purposes and income as well. Part of the city of Auburn’s Harper Avenue Focus Area for Redevelopement offering many potential uses. Easy access to downtown, restaurants, shopping, as well as I-85. Current house has two bedrooms and one bathroom on the main level, as well as a living room, dining room and kitchen. Second level has a bedroom, bathroom and large loft area. Covered back porch & patio. Large & tall crawl space area with a concrete pad perfect for exterior storage. Great investment property! Currently zoned RDD allowing for 5 unrelated residents. Can be mixed use: commercial/residential development opportunity with Retail/Office Space below and Residential above. This is an excellent opportunity to have a commercial/office space to generate income while having residential above, both for living purposes and income as well. Part of the city of Auburn’s Harper Avenue Focus Area for Redevelopment offering many potential uses. Easy access to downtown, restaurants, shopping, as well as I-85. Current house has two bedrooms and one bathroom on the main level, as well as a living room, dining room and kitchen. Second level has a bedroom, bathroom and large loft area. Covered back porch & patio. Large & tall crawl space area with a concrete pad perfect for exterior storage. Like-new Energy Star certified home! Off the foyer is the elegant dining room, complete w/ judge's paneling, coffered ceiling, & convenient butler's pantry. Kitchen boasts granite countertops, custom wooden range hood, SS appliances, walk-in pantry, & large island + breakfast nook for plenty of casual seating/dining options. This open concept area flows into the great room, which features a gas log fireplace. A bedroom, full bath, & laundry w/ storage round out the main level. Upstairs, you'll find the master bed & bath plus 2 additional bedrooms, the 3rd full bath, & a bonus room. Master bedroom features tray ceiling with crown molding, double walk-in closets, & private bath w/ soaking tub, step-in tiled shower, private water closet, & extended double sink granite vanity. Beds 3-4 are good size & share a hall bath w/ double sinks. Large loft acts as 2nd family room. Covered front & back porches, w/ a private, serene backyard. Double garage w/ mudroom. Security system. Irrigation. SUPER EASY TO SHOW MARCH 23/24! Like new! Shiplap entry in the foyer. Two story Great Room with accent windows. Gas fireplace with stacked stone surround. Hardwood floors in the Living Room, Kitchen & Dining Area. Kitchen has large center island, pantry, stainless steel appliances (gas range), subway tiled backsplash & granite countertops. Off the garage is a drop zone with built in cubbies & bench. Laundry with storage. Half bath is off of the laundry room. Master Bedroom is very spacious & features an en suite bath with tiled shower, double sink vanity & soaking tub. Private water closet in the master & walk in closet. Second floor has a second den/living room, hall bathroom & three bedrooms. Awesome covered back porch with vaulted ceiling overlooks fenced back yard. Irrigation system. Termite bonded. Stairway lighting. Gutters. Oversized garage. Upgraded lighting & plumbing features! Lots of attic storage. Neighborhood pool & state of the art clubhouse! Home has been 100% renovated inside & out. New lighting fixtures. New granite throughout. New roof. Spacious living room perfect for gatherings. Updated kitchen has stainless appliances, new granite counters, shiplap backsplash, & a large island with seating & extra storage--also a great area for entertaining. Open concept dining area adjacent to the kitchen that would also work great as a cozy den. Master suite has private bath with double sinks, marble floor & counter, & subway tile shower. Bedrooms 2-3 share a brand new, just-added 2nd full bath. Large fantastic backyard with firepit has been fully fenced--3 concrete pads, one with power. So much potential in the back yard! Extended driveway for extra parking. Living Room also opens with double doors to the driveway, offering a great grilling area. Welcome home! Gorgeous wooded lot that backs up to Moores Mill Creek. Will make an absolutely stunning homesite! Fabulous location - minutes to Publix, I-85, and Auburn University. Are you looking for an auto-pilot easy cash flow investment? Saddle Brook Farms is 10 acre community 9 miles from Auburn University's Vet School including 5 mobile homes, $35,000 horse barn & electric fenced horse paddocks. Scenic grounds have been meticulously maintained: lots of common green spaces and walking trails. Great, low maintenance investment property - consistently occupied since 2005! Zoned rural (additional rentals could be added). Mobile homes have been updated with new flooring etc. For more details including rental rates, please contact listing agent. Excellent investment opportunity. This IMMACULATE estate sits on 3.45 acres! Soaring ceilings, custom Van Nostrand cabinetry, hardwood floors and recessed lighting are just a few of the beautiful features this property has to offer. Gourmet Kitchen includes wine cooler, island with vegetable sink, oven and convection oven, cabinet-matching refrigerator and dishwasher, built-in desk, breakfast room and pantry. Office boasts coffered ceiling, built-in desk, shelves, and chair rail. Spacious Master Suite features hardwoods, crown molding, double walk-in closets, & a luxurious master bath with an extended double sink vanity and makeup counter. Two Guest Suites on mail level-both with access to their own bathrooms. Upstairs has plenty to offer with two bonus rooms, two spare bedrooms, a full hall bath and two walk-in attic spaces. Very private backyard includes partially covered porch, fenced pool, mature landscaping, and large parking pad. Central vacuum system. Split floorplan brick home on a quiet cul de sac in Wrights Mill Estates. Fabulous location just minutes from I-85, Publix, Chewacla State Park, & Auburn University campus. Formal dining room w/ floor to ceiling window for tons of natural light. Dining flows into great room, withvaulted ceiling & woodburning fireplace & connects to kitchen. Kitchen has built-in desk area, pantry, & breakfast area. HUGE master boasts plenty of space for king bed, sitting area. En suite master bath has extended vanity w/ double sinks, garden tub, step-in shower, private water closet, & walk-in closet. Bedrooms 2-4 located on opposite side of house & share a hall bath w/ double sinks. Laundry w/ utility sink & storage. Double garage + parking pad for 2 more vehicles. Nice rear patio for cooking out or just enjoying the outdoors! THIS IS AN EXCELLENT CANDIDATE FOR THE RENASANT BANK HOME RENOVATION LOAN. ASK ANNIE FOR MORE DETAILS! 4BD/3BA on 1 level! Impeccably maintained, like new home nestled on cul de sac lot. Awesome deck overlooks backyard, where pear, nectarine, & peach trees grow. Open green spaces + wooded area that adds privacy. Formal dining w/ classically detailed trimwork. Dining flows into open kitchen/great room area. Kitchen has lots of granite counter space, tile backsplash, SS appliances, enormous walk-in pantry! Large island w/ seating + spacious breakfast area. Great room boasts vaulted ceiling & stone fireplace. Large master w/ tray ceiling & ensuite featuring twin granite vanities, WC, tile-surround garden tub & step-in shower, & WI closet. BD2 has en suite while BD3-4 share hall bath. Laundry w/ storage. Upgrades include hand-scraped hardwoods, recessed lighting, soft close cabinets, whole-house water filtration & softening system, spray foam, tankless water heater, security system. New carpet. Dbl garage w/ shelving, epoxy floor, utility sink, & insulated garage doors. PLEASE REMOVE SHOES. New roof, new HVAC, new hot water heater!